Michaela has posted a tutorial for these fun handmade popup cards over at Oh Happy Day. With all of the events coming up that will require cards (birthdays, end of the school year, graduation) this will come in handy. 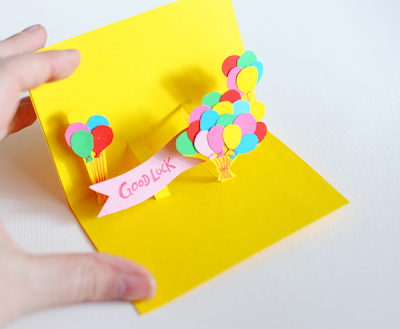 And you can use the same method to create a popup book! 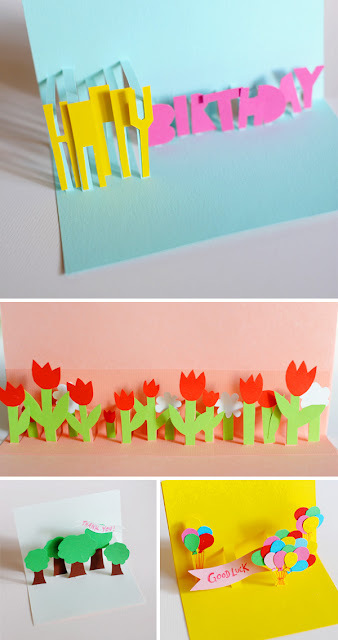 Just glue the back of a bunch of cards together. A great project to keep them busy one day this summer.